At the beginning of each year, certain automatic increases to federal employee and retiree benefits go into effect. Many of the increases take place under established formulas and are driven by indexes such as the rate of inflation or the increase in average wages in the United States. The 2017 interest rate for service credit payments for civilian and military service credit deposits under the Civil Service Retirement System, Federal Employees Retirement System, refunds from the retirement fund, and voluntary contributions under CSRS is 1.875 percent (down from 2 percent in 2016). The annual elective deferral limit for Thrift Savings Plan contributions remains unchanged at $18,000 for 2017. This applies to combined total of traditional and Roth contributions. For members of the uniformed services, it includes all traditional and Roth contributions from taxable basic pay, incentive pay, special pay and bonus pay, but does not apply to traditional contributions made from tax-exempt pay earned in a combat zone. In addition, the “catch-up contribution” limit — the maximum amount of contributions that can be contributed in a given year by participants age 50 and older — remains unchanged at $6,000 for 2017. It is separate from the elective deferral and annual addition limit imposed on regular employee contributions. Social Security annual changes include: The tax rate for FICA (Federal Insurance Contributions Act) or OASDI (Old Age Survivors and Disability Insurance) remains at 6.2 percent. The maximum taxable earnings for 2017 are increasing from $118,500 to $127,200. This is the largest increase in Social Security history. It was caused by the increase in average U.S. wages and the fact that there was no Social Security COLA last year, which prevented an increase in the maximum taxable wage base for 2016. The Medicare hospital insurance tax remains at 1.45 percent. There is no limit on the amount of income subject to this tax. For some highly compensated employees, there is an additional Medicare tax of 0.9%. The earnings limit for retirees who receive the FERS supplement and Social Security beneficiaries who are under the full retirement age has increased from $15,720 to $16,920 in 2017. For every $2 in earnings above the limit, the FERS supplement or Social Security benefit is reduced by $1. 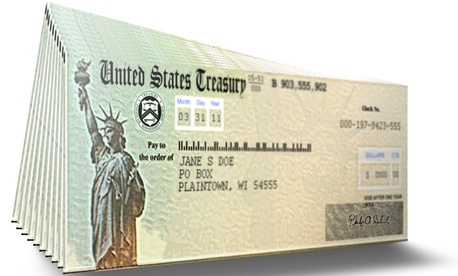 Many people who receive monthly payments from Social Security, military retirement, CSRS or FERS received a cost-of living adjustment effective Dec. 1, 2016. They received the increase in their January 2017 annuity payment. The maximum increase is 0.3 percent. A COLA increases a person's Social Security retirement benefit by approximately the product of the COLA and the benefit amount. The exact computation, however, is more complex. Social Security COLA adjustments are also increased in December and payable in the January 2017 payment. All CSRS annuitants who have been retired at least one year receive the full COLA. FERS COLAs apply to the retiree’s basic annuity only (not the annuity supplement). For survivor annuitants, the COLA applies to both the basic survivor annuity and supplemental annuity. In addition, FERS COLAs generally don’t apply to annuitants who are under 62, with certain exceptions. Pro-rated COLA are payable on annuities starting within 11 months before the effective date. The pro-ration is based on the number of months between the annuity commencing date and the effective date.